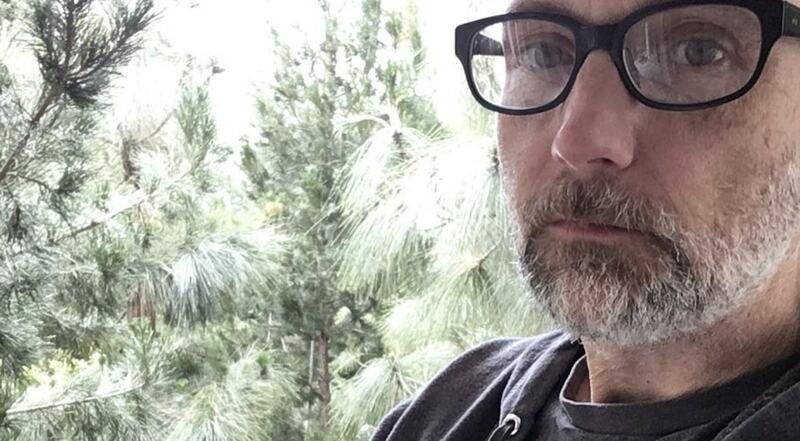 Vegan star Moby has taken to social media to spread information about some of the horrors of factory farming - specifically, pig farming. Posting to his 281,000 Instagram followers, he shared a short film about gestation crates by vegan charity Mercy for Animals. He captioned the post: "This year 100,000,000,000 animals will be killed by and for humans. You have a choice: support the suffering and death, or work to end it," adding the hashtags #animalrights #animalliberation. The film Moby posted explained what gestation crates are, saying: "[It is] a cage which a mother pig is kept in for most of her adult life. The crates measure 6.6ft by 2ft and contain no bedding material. "Most mother pigs in the US are kept in gestation crates, but the crates are banned in the EU, Canada, and nine US states. 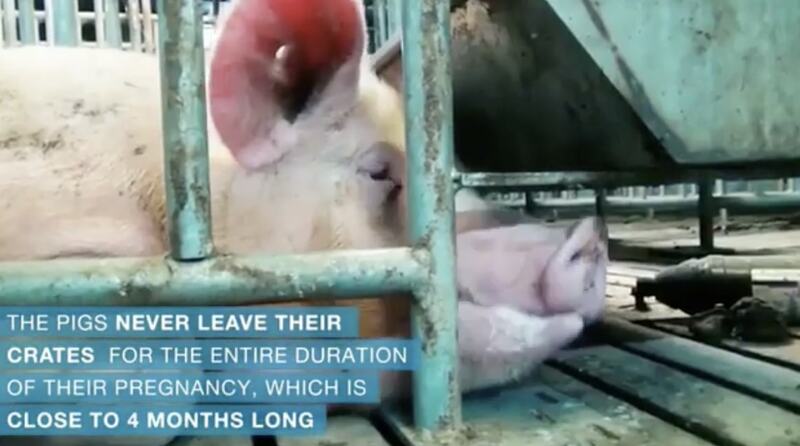 The pigs never leave their crates for the duration of their pregnancy, which is close to four months long. "On average they have 2.5 litters each year for three to four years. This means each pig spends 10 months of each year in a cage so small she can't even turn around." The film also describes farrowing crates - which pigs are kept in with their litters, which are slightly larger to allow piglets to feed. Many of his followers were horrified to see the abuses that take place within these facilities, with one writing: "This is disgusting. To think that humans working in the meat industry can live with themselves while treating animals in this way is beyond me." Another said: "Devastating! Go vegan everyone! Nothing should have to die for you to eat!" One user simply added: "This is so sad I still don’t get how people just don't even try giving up something that causes so much suffering as eating meat."